We all have dreams and ambitions. To visit Iceland has been one of my greatest dreams and I spent long nights on pinterest, collecting images of this magnificent country for a long time. This year, I think it was in March, my sister and I decided to explore Iceland. We booked our tickets, and then we started planning. 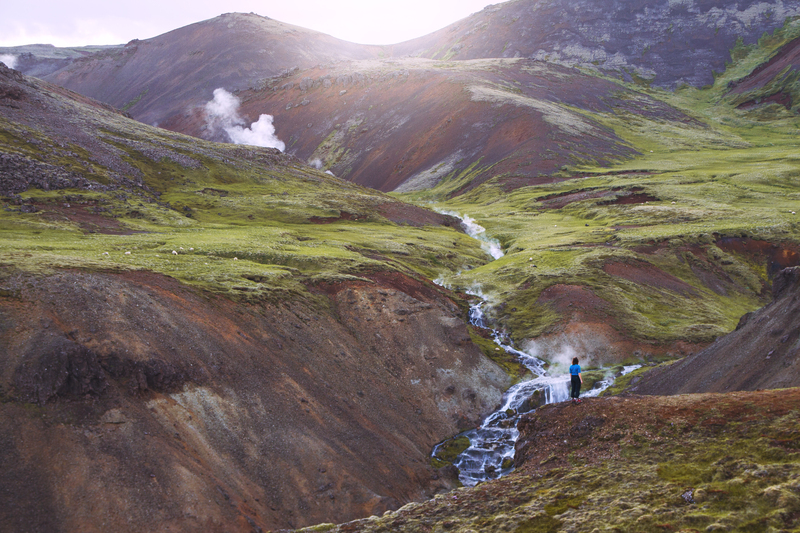 We made long lists about everything we needed, and even made some hikes in our surroundings to test our gear because we wanted to hike one of the most beautiful hiking trails on Iceland. 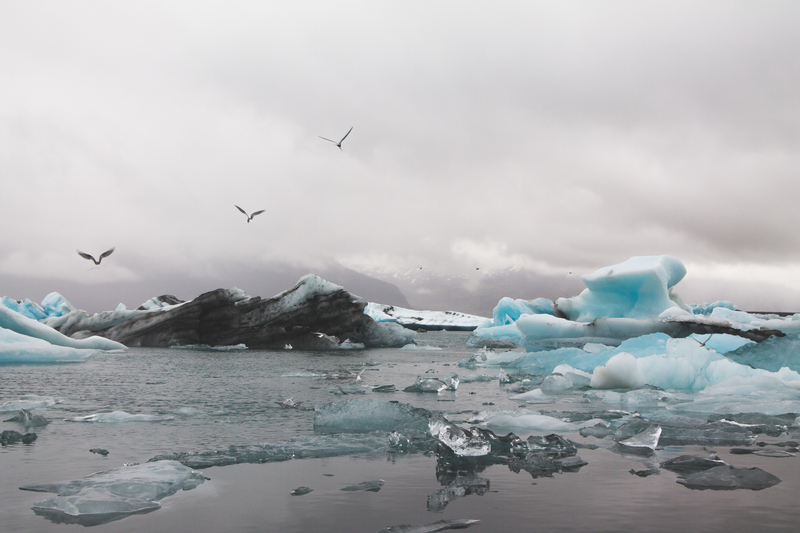 One thing to take into consideration when you travel to Iceland, is that it is cold. We decided to make our trip a backpacking-trip with our new tent. I never spent more than two nights in a row in a tent, but I thought 2 weeks should not be a big problem. At the end of June we flew from Copenhagen to Keflavik, where the international airport is situated. 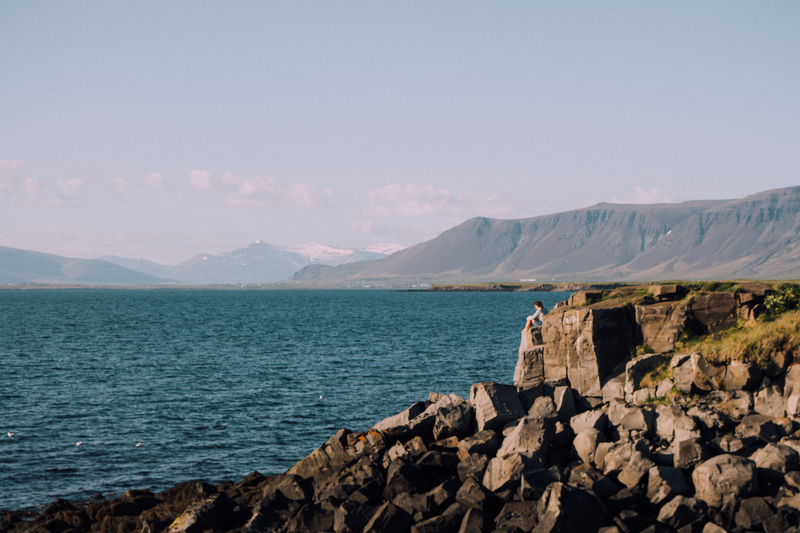 We had booked a bed in Reykjavik for the first night, which was totally unnecessary because it was expensive, and the camping grounds where much better. We took a bus from Keflavik to Reykjavik and checked in at our hostel. We chose Reykjavik City Hostel, which is not really in the centre of Reykjavik. But after two weeks in Iceland, the distance from the centre to the hostel did not seem as horrible as I considered it in the beginning. From the hostel we decided to take a little walk to the coast. The weather was fantastic that day, and we had a perfect view on the mountains. Btw. ; the mountain in the background which is closest, raises to about 800m about sealevel. On our first day on Iceland we walked to the BSÍ Terminal, where all the long-distance buses from Reykjavik Excursions start. We decided to buy a 7-day passport that allowed us to drive with all buses in South Iceland. And, then our adventure started. 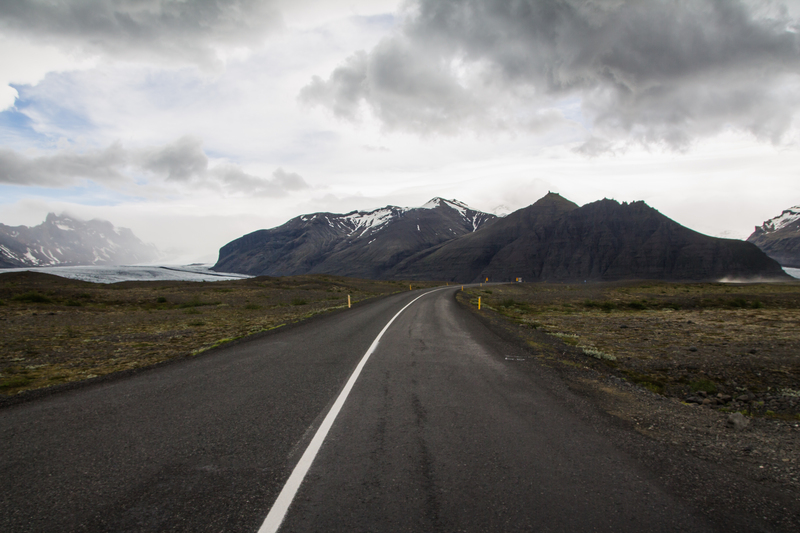 We decided to drive to Skaftafell, a part of the Vatnajökull national park. 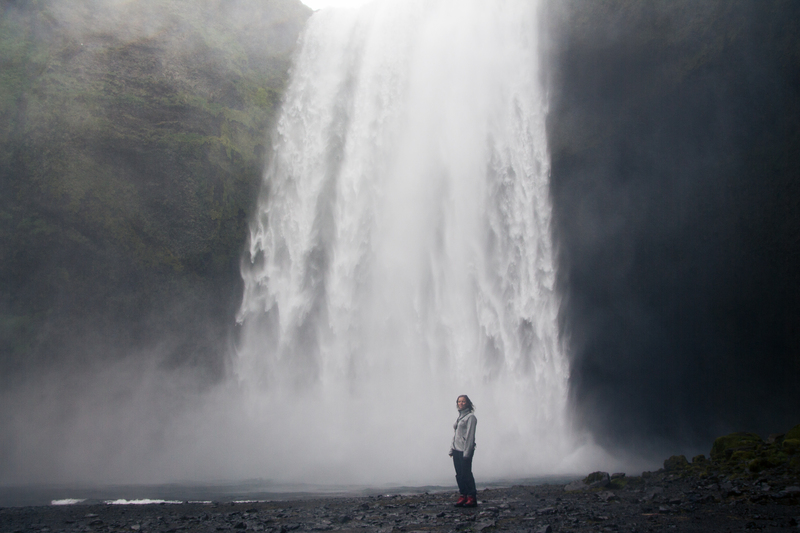 We made several stops on our way, at Sejlandsfoss (we visited it like three times), Skogafoss and Vík. The Southcoast is both terrifying and beautiful. It was EXTREMELY windy that day, and the bus driver said that he would not leave the bus, but all the crazy tourists did. 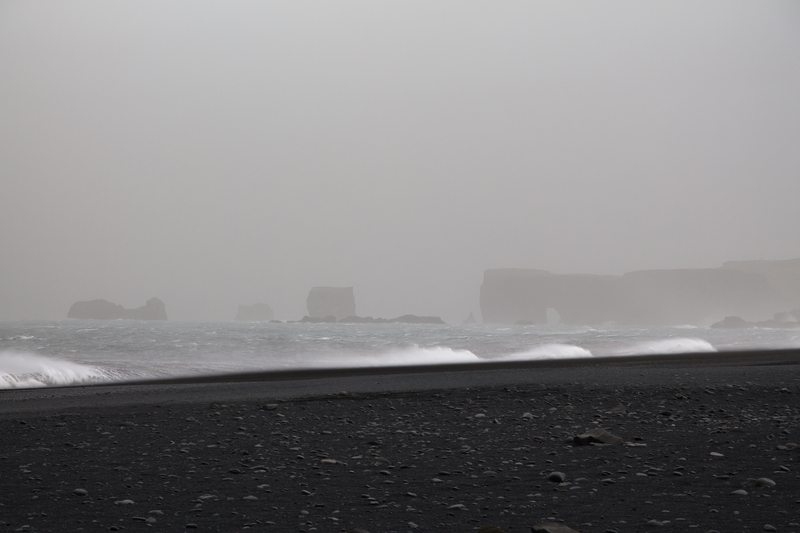 The waves very extremely high and there were STONES IN THE SANDSTORMS!!! Soon we had stones everywhere. But it was beautiful nevertheless. 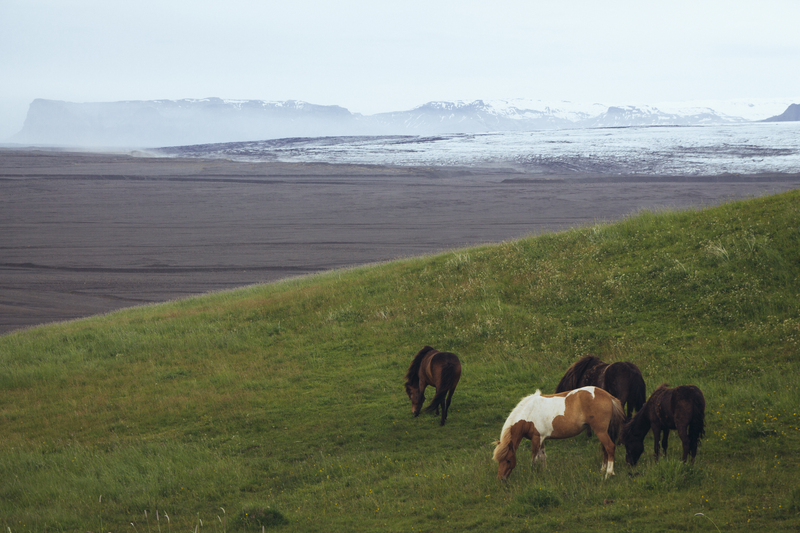 The Icelandic landscape was undescribable. It was totally terrifying (look at that grey deserted part of this image behind the green hills that is what 200km of our journey looked like) and extremely beautiful. 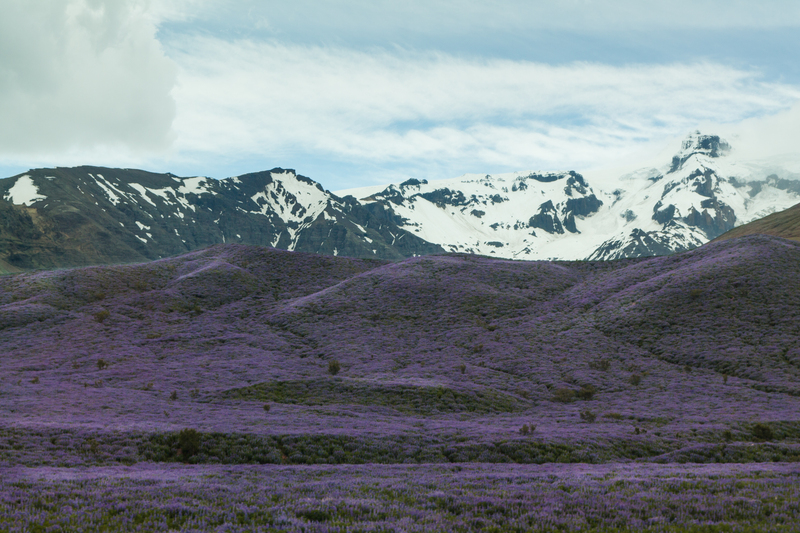 Endless lupine fields, strange lava fields, and an extremely interesting history. 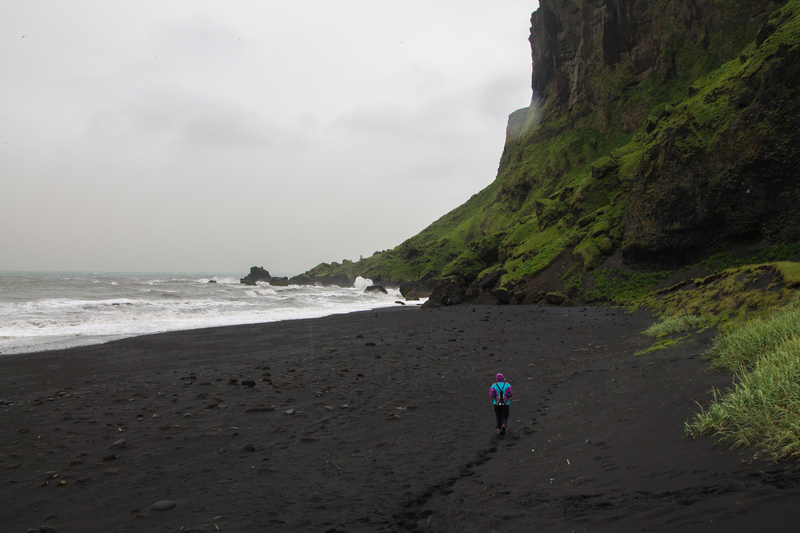 When we arrived at the Skaftafell National Park Centre we decided to build our tent, and then take a little walk. We visited the waterfall Svartifoss (which is not that epic, it is really small, and there were way too many tourist (says the tourist (I wish I wasn't a tourist))). Meanwhile my sister compared the basalt stones with lobules of liver. Never travel with a medicine/veterinary medicine student. She eventually found some other people to share her thoughts with. We decided to spend two nights at Skaftafell. 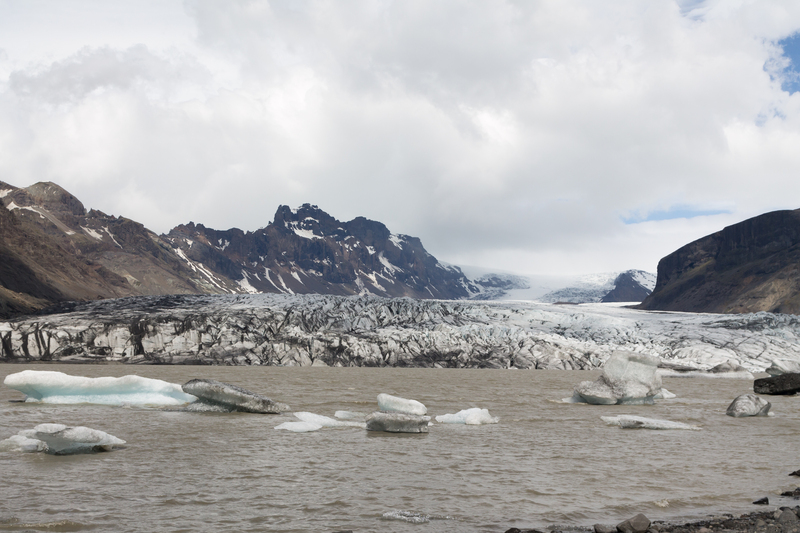 The next day we took a bus to Jökulsárlon, the famous glacier lagoon. 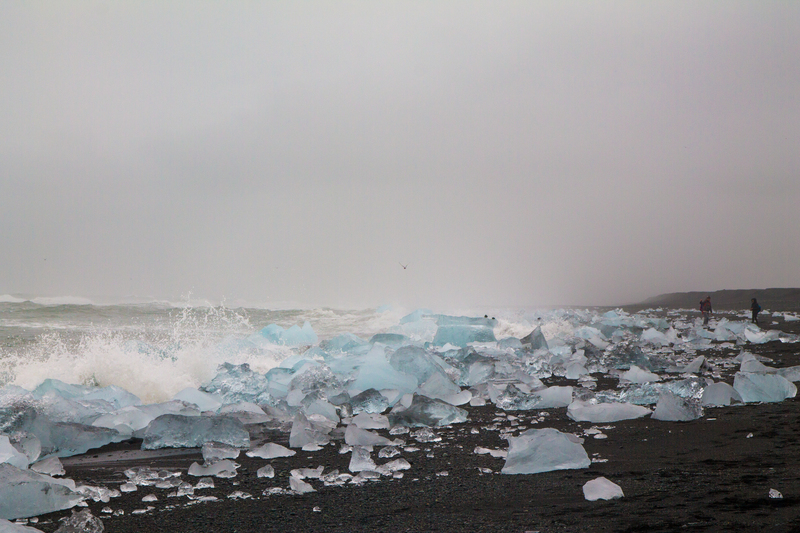 I have never seen icebergs before, and we spent a lot of time walking around the lake, and down to the coast. When we got back to Skaftafell we decided to walk to the glacier and eat something. 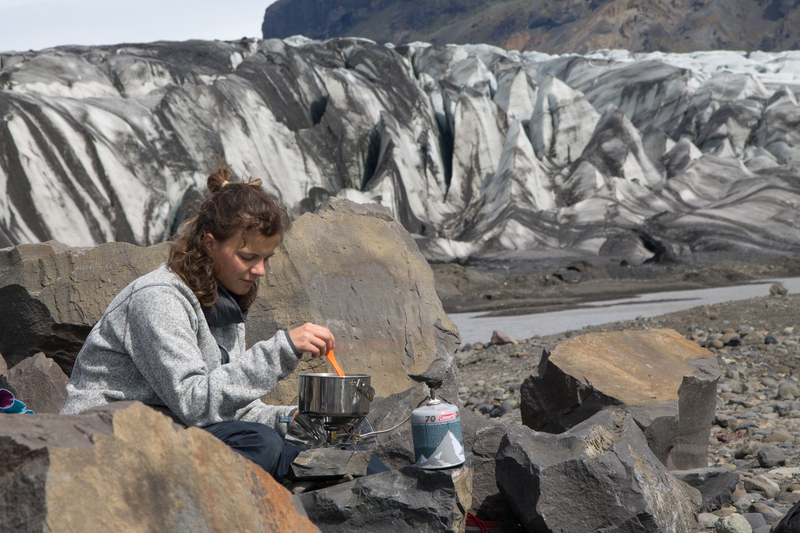 There is nothing better than eating a terrible soup in front of a glacier. The plan was to continue our journey to the highlands. We wanted to drive with the bus to Landmannalaugur, but there was too much snow. (Actually our plans were much different in the beginning, but I think I'll write a post about this later). We decided to drive back along the southcoast and revisit Skogar, to hike a bit on the Fimmvörðuháls, a famous hiking trail (and area) between the glaciers Mýrdalsjökull and Eyjafjallajökull (two big glaciers). 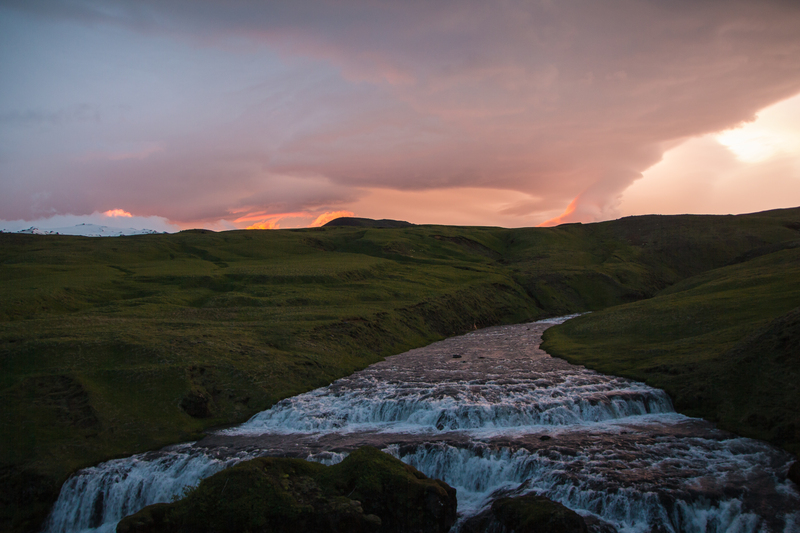 We enjoyed the midnight sun, as we explored the beautiful waterfalls. The next days we explored a little town called Hveragerði, where we met some really nice people and took a bath in a hot river (yes that river on the picture is steaming). And, we boiled eggs in a hot spring. 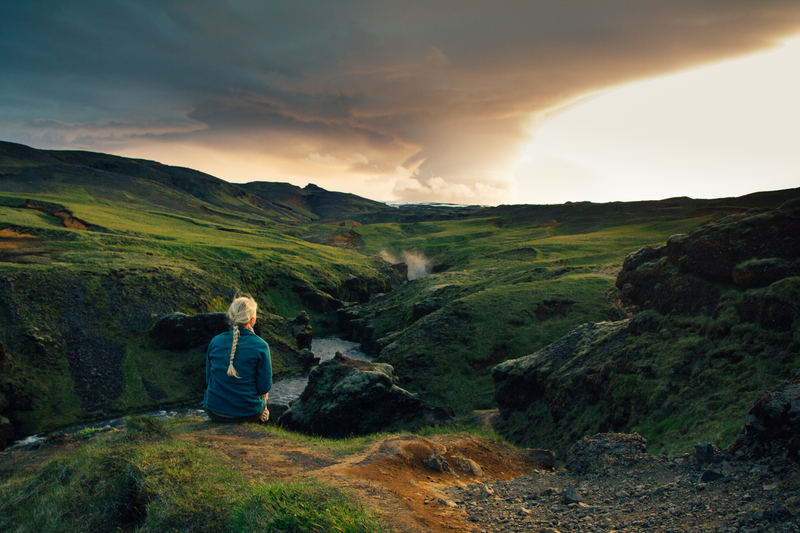 For the last days of our South Coast adventure, we decided to explore the "Golden Circle". I somehow regret that decision because it was very touristy. The Geysir was surely beautiful, but with 10000000 people around you, and everyone taking pictures of it, it is not as exciting as it would be in a totally remote area. In the shopping centre next to the Geysir, they sold Icelandic air. 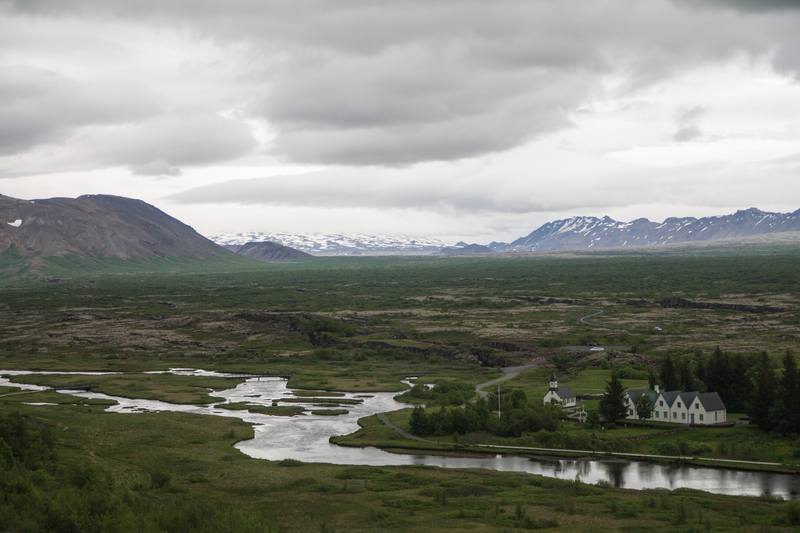 My favourite part of the Golden Circle was Þingvellir, a national park with two interesting stories; It is both the old parliament site, but also a place where the Mid-Atlantic-Ridge is visible. We spent the night in our tent on an amazing camping ground close to the lake, with almost no tourist (just some ukulele-playing-dreadlock-icelandic-guys who had no talent for singing). 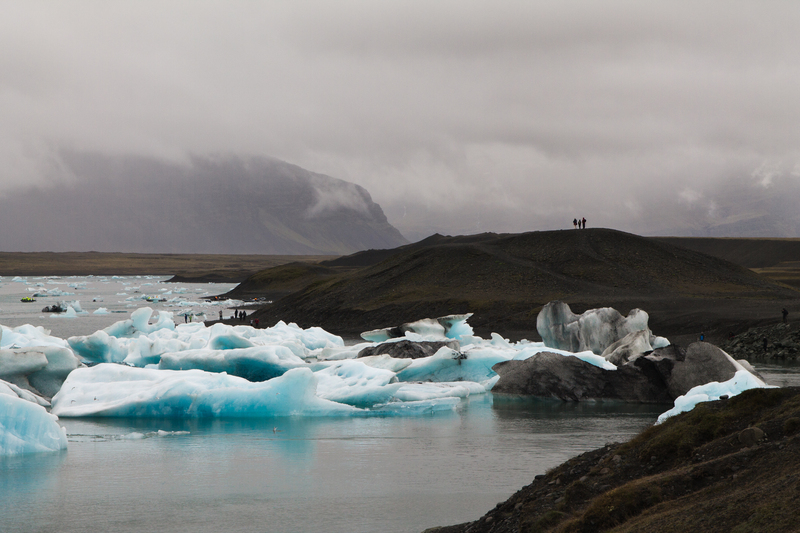 I hoped you enjoyed reading my blog post about Iceland. 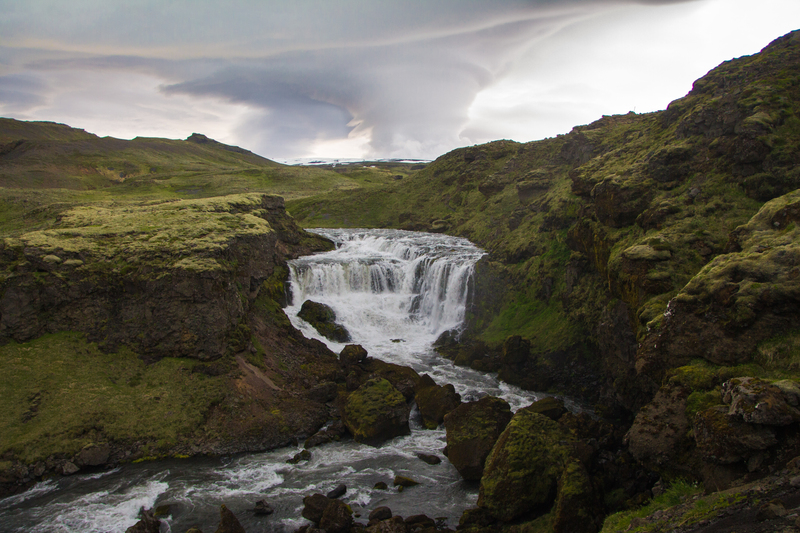 I'll write a bit about Þórsmörk and the hiking trail Laugarvegurinn in another post, and then something about how to plan (or how not to) a backpacking trip on Iceland, and the camping grounds. But you will have to wait a bit, because I am almost on my way to Italy right now. Das ist einfach eine so großartige Landschaft. Wundervoll eingefangen!! Tolle Stimmung! ICh werde echt neidisch und freue mich um so mehr auf die GLetscherwanderung nächsten Sommer. Nett geschrieben beeindruckende Aufnahmen! oh mein Gott, das schaut so schön aus !